Investigative actions in the Moscow, St. Petersburg and Ulyanovsk offices of a Japanese tire manufacturer were carried out in the framework of an open criminal case on evading customs duties on a large scale. 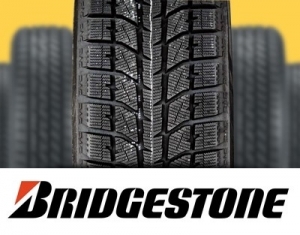 Searches at the offices of the tire manufacturer Bridgestone were carried out on the basis of a criminal case on evading customs duties on a particularly large scale. This was in a conversation with RBC said the press secretary of the Baltic Customs Alina Schmidt. “Employees of the Baltic customs in the framework of the criminal case under item“ g ”h. 2 art. 194 of the Criminal Code of the Russian Federation (evasion from paying customs duties levied on an organization or an individual on a large scale) were searched in a number of Bridgestone's offices in Moscow, St. Petersburg and Ulyanovsk, ”Alina Schmidt, Baltic Customs spokeswoman, told RBC. Investigative actions, as RBC wrote earlier, citing sources, took place last Tuesday, November 20, in the Moscow and Ulyanovsk offices of a Japanese company. In the Moscow office, located on Letnikovskaya street, law enforcement officers came with the support of the SOBR, said the source of RBC. In Ulyanovsk, investigative actions took place at a plant for the production of tires for passenger cars. On the searches in the St. Petersburg office of Bridgestone was not previously known. Bridgestone itself said that on Tuesday “representatives of the Baltic Customs” came to the company's office, but without police officers. “This is about the delivery of equipment that happened about three years ago,” explained Vera Moshkina, marketing director at Bridgestone in Russia. She assured that the company is fully ready to cooperate with representatives of customs. Other materials: “Half a ton of undeclared coffee was delayed by Vladivostok customs	The court arrested the deputy head of the Moscow region customs in the case of a large bribe "